View More In Salad Dressings. Who doesn't love the delicious taste and smell of flowers? The Floral Collection from Bakto Flavors is a great addition to any baker's kitchen! 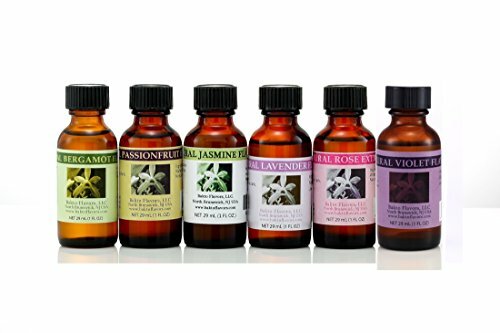 It includes the following flavors: Bergamot, Passionfruit, Jasmine, Lavender, Rose, and Violet. Delicious in cakes, cookies, butter creams, yogurt, and more!